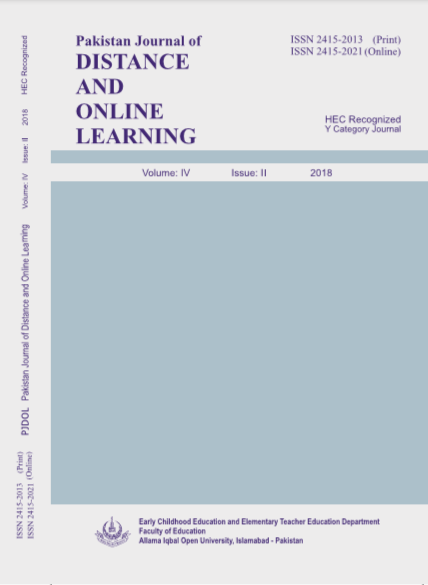 This paper explores the learning styles and approaches of English language teachers enrolled in master’s program at an Open University in Pakistan. A total of 78 male and female teachers who were in their last stage of writing their dissertation at an open university in Pakistan were identified through stratified sampling and survey method was used to collect the data. Entwistle’s three distinct approaches to learning were utilized to collect the data for this study: deep approach, surface approach and strategic approach. A self-developed pre-coded survey questionnaire founded on Entwistle (2001) was developed based on the purpose of the study. 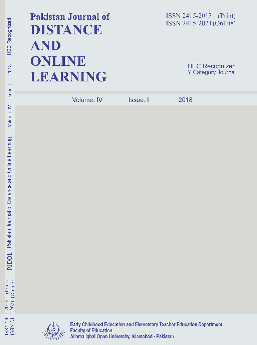 The results indicated that there was no sufficient evidence to conclude that the use of different learning approaches in distance programs through deep, surface, and strategic approaches were different for male and female students. Academicians teaching in distance universities could benefit from the research findings and consider them when developing materials for their learners. The results can also raise awareness among the distance learners regarding the learning styles and approaches that are mostly used by them.